In the 1950s, a young man enrolled in a public speaking course “not to prevent my knees from knocking when public speaking, but to do public speaking while my knees are knocking.” That young man was Warren Buffet, now one of the world’s richest men. The course was a Dale Carnegie (author of the multi-million bestseller ‘How to Win Friends and Influence People’) public speaking course and the investment was $100. 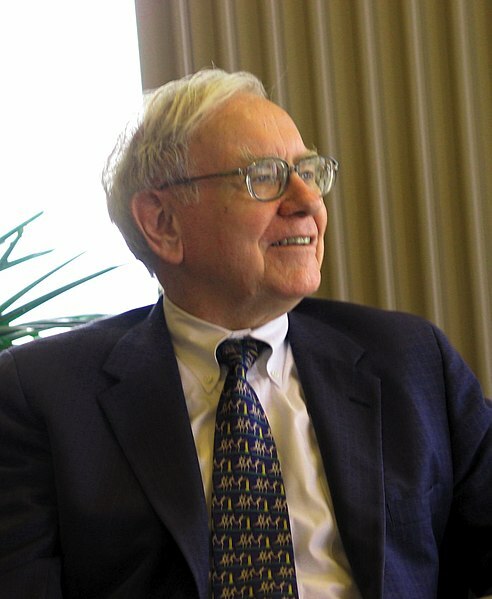 Warren Buffet has many admirable qualities and a number of habits that contribute to his enormous financial success. My personal belief is that a crucial aspect of that success is his adaptability over many years in business and, in turn, his resilience. Resilience has become something of a buzzword and a popular topic in recent years, discussed in the contexts of governments and policy-making, organisational change, business, entrepreneurship as well as our personal lives. Adaptability, therefore, is intrinsic to resilience and ipso facto resilience is crucial for an individual’s survival. As it is individuals that make up organisations, communities and countries, I’m going to focus on the individual in this article. Let’s face it, since 2008 a huge number of us have had to dig deep into our own resources, during what is now aptly-called the Great Recession. Lasting far longer than originally predicted, those individuals who have survived – thrived even – are the ones with the greatest ability to bounce back and recover. I appreciate that adaptability is only one aspect of a set of survival skills and that our survival is, naturally, dependant on a number of external as well as internal factors. However, for the purposes of this article and its usefulness to you, I’m going to concentrate on this particular skill. In their award-winning book ‘Why Change Doesn’t Work’, clinical psychologist Harvey Robbins and journalist Michael Finley provide practical and proven methods for managers to work with human nature, not against it. Too often this has not been the chosen method for effecting change, whether by governments or organisations. Robbins and Finley assert that this is why change doesn’t (usually) work. To develop and use the internal forces that help overcome adversity and challenges, we need to build capability and competence. It would be wonderful if we could simply adapt and gain the knowledge and skills we need to acquire with a simple wave of a magic wand. Unfortunately, we don’t. People need training and education which then has to be put into practise over a period of time to build that capability and competence. Yes, technology and its rapid development has had a dramatic impact on us, our workplaces and our homes, particularly the internet over the past 10 to 15 years, and increasingly so with mobile technology. Cultures and borders are less distinct and more accessible as we become more and more interconnected and networked. We are being forced to train ourselves to a great degree in these new systems and we are having to adapt rapidly. There are many benefits to be derived to living in an age of ever and faster evolving technology, but there are of course challenges and risks. If we combine that sound advice with The RSA’s ‘power to create’ principle, the conclusion is that rather than wait for the appointed ‘leaders’ to tell us what to do next, we can design our lives. Whether employees in large organisations, leaders of businesses (small, medium or large!) or as self-employed freelance workers, much like Warren Buffet did in his 20s by attending Dale Carnegie’s public speaking course, you and I can effect change through action. This is an iterative process, enabling us to adapt and learn, train and educate ourselves along the way. We can build our capacity and capability ongoingly, for the benefit of our products & services, ourselves and of course our clients and customers. How are you adapting right now? Why not share where you are on your journey? We are all somewhere along that path.